number positioning leaves a lot to be desired. Seeing a real scheme on it just makes me even more disappointed with the Mustang. So much they could have done with the rear haunches and yet it looks they kept a lot of the Fusion there. It is physically impossible to rotate a smartphone so you can take horizontal pictures. This is the most incorrect thing I'll read all week. All one has to do is turn the damn phone. I agree with Bobd18 - it's the biggest peeve in my life. Kevin Harvick: He made Ricky Rudd mad once. Think about that. 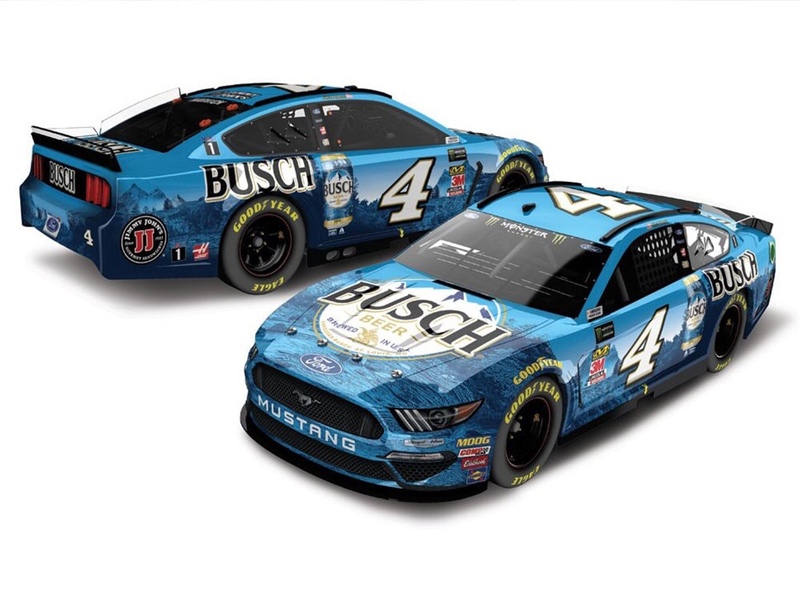 The splash of gold on the Busch car makes it look better than the Busch Light car, same as the past few years.